DSLR Mirror lock up how usefull is it for handheld photography?. Previously in the film days, only the best Nikon SLR has mirror lock up (MLU) feature. That’s in the Nikon single digit F series. Even the F100 which is considered as the little brother of F5 doesn’t has MLU feature. So, how useful is MLU? With the advancement and convenient of digital photography, I can now take shots and experiment shots easily. Nikon now has MLU in their single digit D series and also in the Nikon D200 (D80, D70, D100…etc. all doesn’t have MLU). So, now the question is…how useful is MLU? Many people have the mis-conception that MLU is only used when you have your camera on tripod. Quite true during the film days where one have to turn a lock manually to lock up the mirror manually, and this required quite big movement and will definitely change/move your subject composition. However, now with better technology and design, Nikon MLU shots can’t be done any easier! 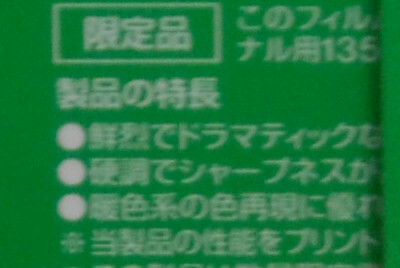 On my Nikon D200, change the drive mode to MLU (there are S, Cs, Ch, Timer…etc. and MLU is on the farthest right on the dial - not seen in the picture below, but is just next to the timer symbol). When you have set your drive mode to MLU, then the rest is easy. Half press your shutter button to focus, then full press your shutter button to Lock Up the Mirror. So, how does mirror lock up helps in taking photos? When taking a shot in SLR (Single lens reflex) camera, the reflex mirror will go up, the shutter blade will then open to expose the film/sensor to the light. After that, it shutter blades close and mirror return down. During the process, especially when the mirror goes up, it bounces onto the upper position of your camera chamber, hence creating a minor shake or vibration in your camera. Before the vibration settles down, when the shutter blades open and took a shot, this can be visible in your final photos. 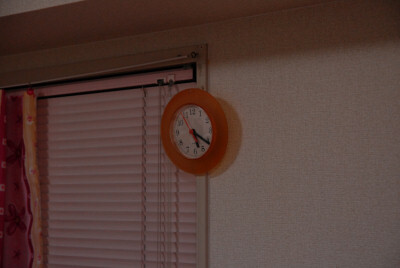 This is especially obvious at shutter speed 1/80s to 1/15s. Why critical shutter speed between 1/80s and 1/8s? 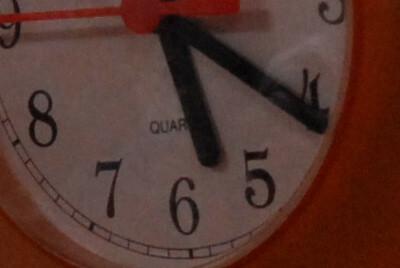 When at higher shutter speed, the exposing time is very short hence normally the shake/vibration can’t be recorded. 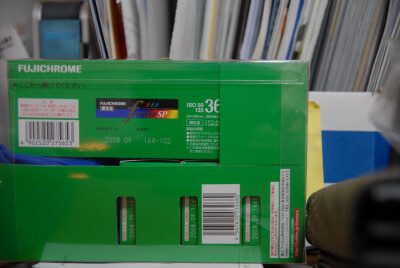 When at very low shutter speed, the light enters the camera is very dim normally, hence before the film/CCD could record down the light, the vibration has already settled down. has already settled down, hence no effect of shake on final images. Now you have read enough…those can be theory and how does it proves in real life? Or is it just a myth to attract more people to buy camera with MLU but end up an useless feature? As I have explained above. On Nikon D200, you do not have to mount your camera onto a tripod when using MLU. Since the photo taking process is just press once, press twice, it can be done handhold! So, how does the final photos come out? Enough talking, here’s some example shots I took last night. Take note that for the photos without MLU, I have tried my best hand holding technique and hold my breadth before taking the shots. As you can see in the comparison photos above, MLU does indeed give much sharper photos than without MLU! It is definitely not just a show off feature in Nikon professional DSLR, but in fact a very very useful feature that will help deliver sharper photos to photographers!. 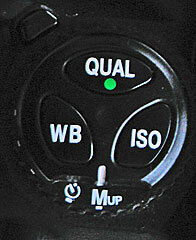 The Nikon D300, D700, D3, and D3x all have MLU or Mup as Nikon calls it. The D90 also have this in some way but it is caled Live view (A funktion reqired to make it possible to record film with the D90. Canon: Please help me here can´t find any information on Canon.com ?? Comment from Joseph S. Wisniewski. 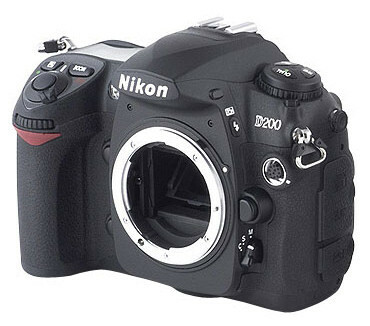 Nikon DSLRs have a variant on MLU that is specifically for hand held shooting. They call it "anti-shock mode", and it's been a part of Nikon DSLRs since the very beginning. Nikon DSLRs also added a feature called "anti-shock mode, where you press the shutter button, the mirror flips up, and a short time delay later, the shutter fires. This is intended for hand-held shooting. The "pro" DSLRs, starting with the original D1, and then D1X, D1H, D2X, D2H, D200, D3, D300, D3X, and D700 all have both MLU (for tripod use) and "anti-shock mode" for hand held use. The "lower cost" DSLRs, starting with the first under $2000 Nikon, the D100, had only anti-shock mode. This continued through D70, D80, and D90. I have no idea about D40, D50, and D60. The first two generations had the anti-shock running a pretty short delay, 0.4 seconds (400mS). That was the delay on D1, D1H, D1X, D2H, D2X, D100, D70, and D200. I found it just about perfect for hand-held work. You only had to "lead" the action by 0.4 seconds, press and gently hold the button, and you got a very nice hand-held shot. The third generation D3, D3X, D300, and D700 increased it to 1 second, for reasons I don't understand. 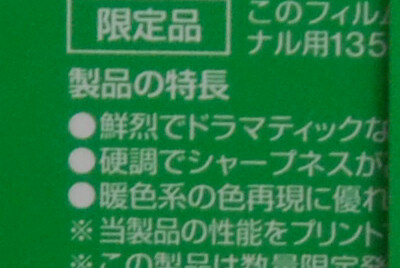 D90 "liveview" is not a substitute for MLU or anti-shock mode. Nikon liveview causes the mirror to drop, then immediately raise, when you press the shutter button. It actually makes vibration worse than shooting in regular "no liveview" mode. Canon liveview works entirely differently, doesn't drop the mirror, and really does reduce vibration. Canon cameras all have MLU, right down to the dRebel, but it's harder to work than on a Nikon.